Published December 14, 2011 at 650 × 381 in What’s New? A Wonderful Holiday Jewelry Show! 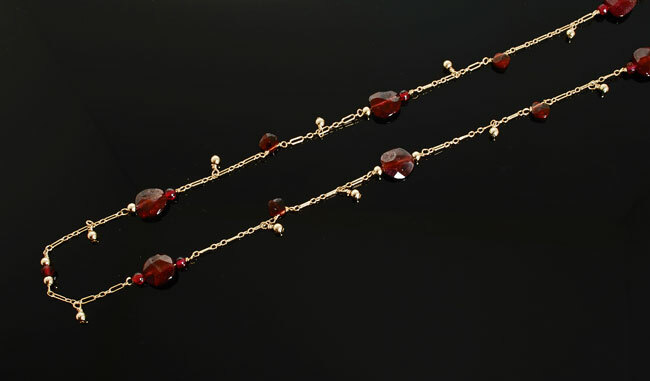 This necklace has a definite Victorian feel with varied faceted garnets interspersed along a 24″ 14F GF chain. Goes with nearly everything you’ll wear this winter!